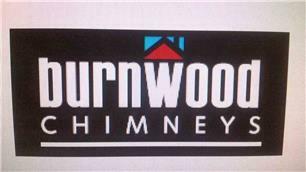 Burnwood Chimneys Limited - Builder, Fireplaces/Stoves based in Poole, Dorset. Our friendly team at Burnwood Chimneys can help with selecting appropriate appliances, Gas or Solid fuel, to suit your needs and exceed your expectations. With over 30 years’ experience in the building industry we can offer Full Chimney builds, re builds, restoration to your design to construction. All work carried out by Certificated Accredited installers. We specialize in installation of Chimney Flues, Liners, Flexi, Twin Wall, Stainless Steel, Pumice, Rendered. We also offer maintenance of chimneys with attention to Lead work, Pointing, Rendering etc. Brick, Stone Flint. Grade 1 or 2, Domestic, Historic, Commercial. We can re-design your structural recess to incorporate a new Stove, Wood, Gas, open fire Inglenook or new surround, Hearths also sourced and fitted all above finished to your expectations. Chimney & Stove annual maintenance. Chimney accessories supplied.